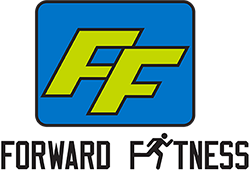 Forward Fitness provides personal training to youth and adults at all fitness levels. Our programs are individually tailored to each client, providing the right level of motivation and the right level of exercise to assist them in achieving their specific personal fitness goals. We are unique because our knowledge of physiology allows us to focus specific exercises on muscle balance–the foundation for all outstanding fitness. We care about our clients by providing individual attention, not just to guide and monitor their physical well-being, but to help motivate them to achieve their own success. Our clients have reduced reliance on medication; eliminated or minimized pain; achieved their goals; and enjoyed better overall mental and physical health. We invite you to become one of our success stories, by visiting our contact page.